It’s Children’s Dental Health Month – and if you have a child undergoing orthodontic treatment, now is an ideal time to make sure they have everything they need to stay healthy. Children with braces require extra attention to make sure those teeth underneath the brackets and wires remain as healthy as possible, so at the end of their treatment, they’re left with a straight and healthy smile. Talk to your child about ways to keep their braces debris-free and incorporate these tips and tricks into their oral hygiene routine at home, and at school. Create a custom travel kit that includes a special toothbrush, interproximal brush, floss or floss pick, mouth rinse and orthodontic wax. Keep it all in a small and discrete container that helps make hygiene convenient. Water is full of health benefits, but one of the major ones is its ability to keep mouths clean by rinsing out major ebris and washing off acids that would otherwise be sitting on the teeth. Sugarless gum helps to remove plaque from the teeth. Look for a gum that contains Xylitol which helps neutralize acid in the mouth and increases the natural saliva. As soon as those braces go on, the standard way you clean your teeth just doesn’t cut it anymore. Trying to clean around brackets and wires can make staying cavity free a challenge, but it’s not impossible. 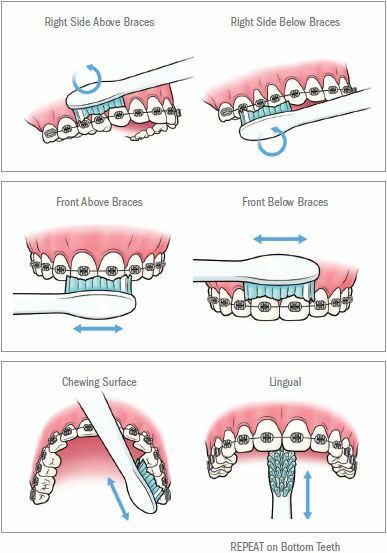 With some slightly modified brushing and flossing techniques, and with the help from special tools made for braces, keeping both teeth and braces sparkling clean isn’t as daunting as it may seem. Place the tips of your toothbrush bristles flat against your teeth and use small, circular motions to clean them. Today’s orthodontic treatments are accompanied by a lot of special tools to help keep teeth clean and work around brackets and wires. Ask us for these tools at your next orthodontist check-up to help make cleaning around your braces a little easier. Eating soft foods for post-appointment meals, but make sure they aren’t foods that easily get stuck in the braces. Eliminating sugary sweets and other non-friendly braces foods that get stuck in teeth. 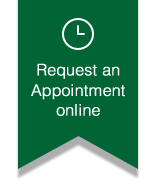 If you’d like a few pointers on how to better take care of braces either at home, or at school, ask us for a personal recommendation on how you’re oral hygiene is measuring up at your next appointment!